It doesn't matter if you're relocating all of your belongings or you're just moving a few things - the right equipment makes the job a whole lot easier. That's why you should consider stocking up on premium logistic cam straps or moving straps from Maddox Trading Company. These extremely durable and versatile tools can be used to secure all kinds of items, large or small. If you're loading furniture into a truck or van for a cross country move, they'll help prevent the shifting and sliding that can result in damage. If you're loading up to help the kids move away to college, they're ideal for tying down those larger items that will only fit on the roof of the SUV! Cargo straps are an essential part of the moving toolkit, and we carry them in a variety of lengths and styles to suit all of your needs. They're always priced low at Maddox Trading Company, so start loading up your cart today! If you need more reasons, just take some time to explore our inventory. 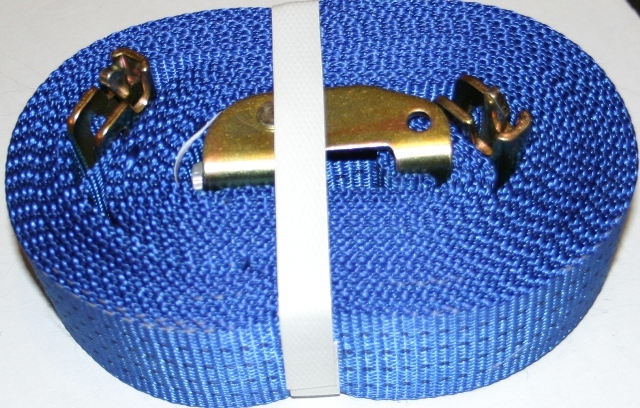 From long lasting logistic cam straps to bulk supplies of adhesive packing tape and protective moving blankets, we're your one stop shop! You can order online right now or give us a call at 877-490-SAVE for more information!